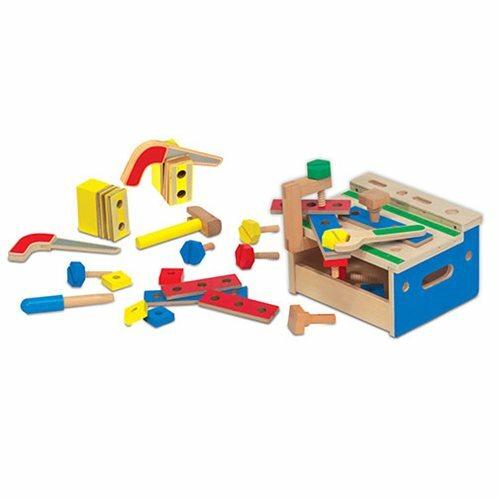 The 32 pieces in this wooden building set include nails to pound with the hammer, screws to turn with the screwdriver, and panels to connect and saw apart. Best of all, the tools and building supplies store neatly in a compact wooden workbench with measuring surface and C-clamp! Little builders can follow the included blueprints to create an animal, house, robot, or boat, or create their own amazing structures! This Mini Tool Bench Wooden Playset is great for imaginative play. Ages 3 and up.